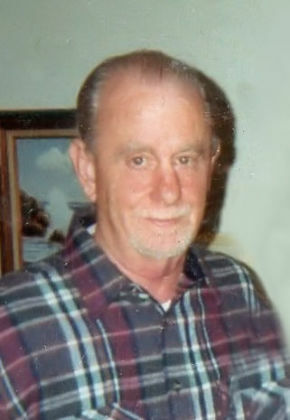 James C. Giegler, age 70, a lifelong resident of Fair Lawn, NJ passed away on Monday, April 1, 2019. He earned a Bachelor of Science Degree in accounting from Fairleigh Dickinson University and was a parishioner of St. Anne R.C. Church in Fair Lawn. A nature lover, Jim enjoyed woodworking, reading classic books, old black and white movies. Beloved son of the late Henry and Alice M. (O’Neil) Giegler. Loving brother of John H. Giegler and wife Marina, Margaret Arney and husband John and Katherine Serviss and husband Curtis. Dear godfather of Erin and Joanna. Cherished uncle and grand uncle. The family will receive relatives and friends Thursday, April 4, 2019, 5-8 pm at Vander Plaat-Caggiano Funeral Home. A Mass of Christian Burial will be celebrated Friday, April 5, 2019, 10:30 am at St. Anne R.C. Church, 15-05 St. Anne Street, Fair Lawn, NJ. Interment will follow at Maryrest Cemetery in Mahwah. Flowers or donations in memory of James to St. Anne School, 1-30 Summit Avenue, Fair Lawn, NJ 07410 would be appreciated. Be at peace, cousin Jim.